Thought for the day….”You will never win if you never begin”. 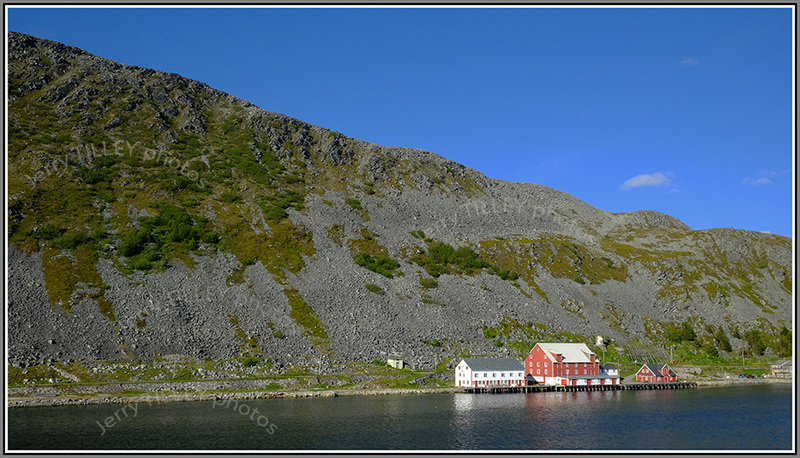 Today’s photo is from the fishing village of Vardo, in north Norway at 70 degrees north in the province of Finnmark. Vardo has three names, one in Norwegian, one in Finnish (Vuoreija ) and one in Sami (Várggát). Russia is also just a few kilometres across the bay, and the island is now connected to mainland Norway by a 2.8km subsea road tunnel. Vardo is also the name of the gypsy caravan used by romany gypsies in Britain. Vardo has a history of witchcraft, including trials of witches and also a witchcraft museum. Curiously, it also lies further east than either Istanbul or Kiev. It also hosts the yukigassen, a snowball fighting competition. The average annual temperature here is only 1.3 degrees, not helped by the long, dark artic winter in this part of Norway. and a couple of photos from Oksfjord, near the top of Norway at 70 degrees north. About 500 people live in this fishing village, although the fish processing factories have all closed. As there are few roads in this part of Norway then ferries are an important way of getting around, including the daily Hurtigruten boats. 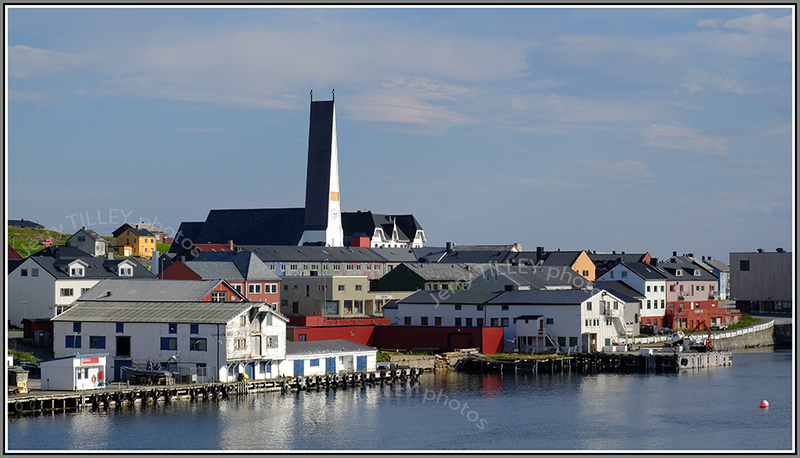 Hammerfest is the nearest major town. 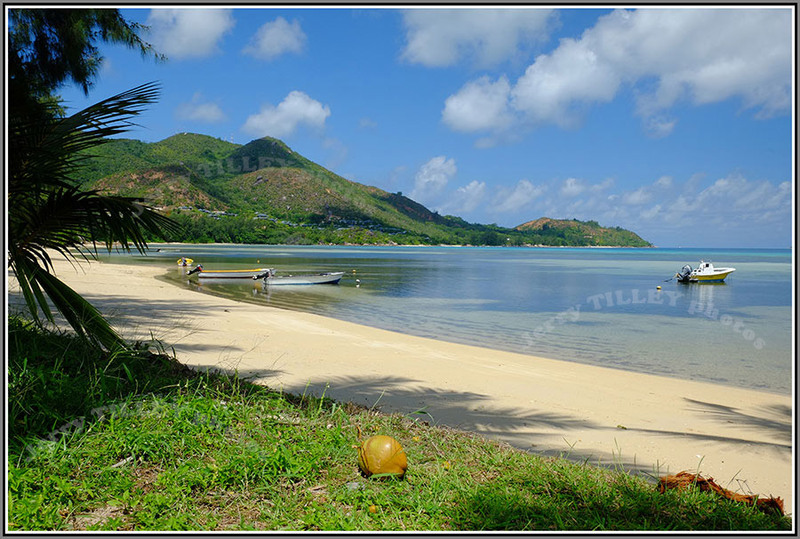 and another photo from the archives….a beach in the Seychelles islands…..
About 85 000 people live in the island nation of the Seychelles, which is situated about 1500km off the eastern African coast and north of Madagascar. Around 115 islands make up the country, which have been controlled at times by both France and Britain. The islands have also been used by pirates, and it is said that the treasure of Le Vasseur, a notorious pirate, is buried there somewhere. Victoria, the capital, on the main island of Mahe, claims to be the smallest capital in the world, although it is the outer islands where the real beauty is. Island hopping is easy there, either on the local fast ferries or the domestic flights in Twin Otter aircraft. Due to the restrictions on the number of tourists, it is not (yet) overrun or overcrowed, just peaceful and beautiful. A couple of photos are worth a thousand words……..Both photos taken with the Fuji X-E1 camera. 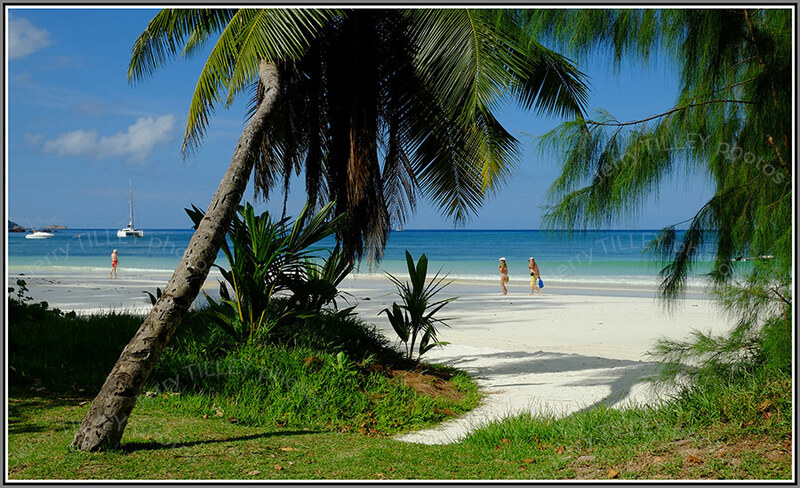 And another photo from the Seychelles…. Colour at the top of Europe (almost). “It is better to regret something you did, rather than something that you did NOT do”. Work has taken me up to the top of Norway and the top of Europe, but I took some time off to get out and about with the camera. 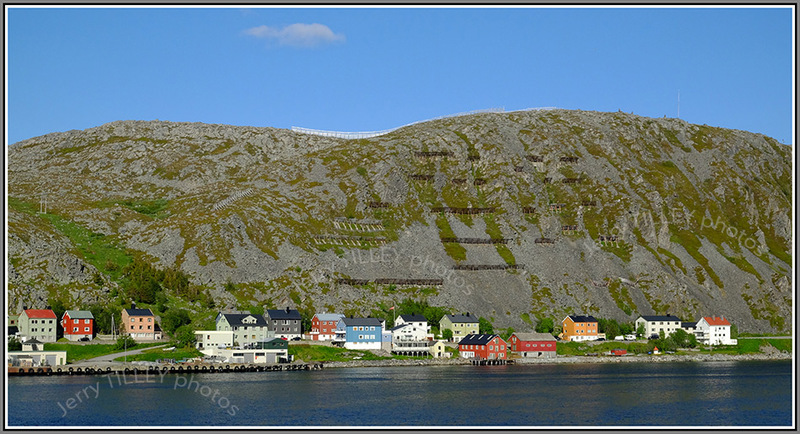 Despite several very grey and dull days, a burst of sunshine made all the difference for a photo of these houses at Honningsvag, Norway. Officially, to be classed as a city in Norway, a place has to have over 5000 people, but Honningsvag, poplulation about 2500, was exempted from this rule. 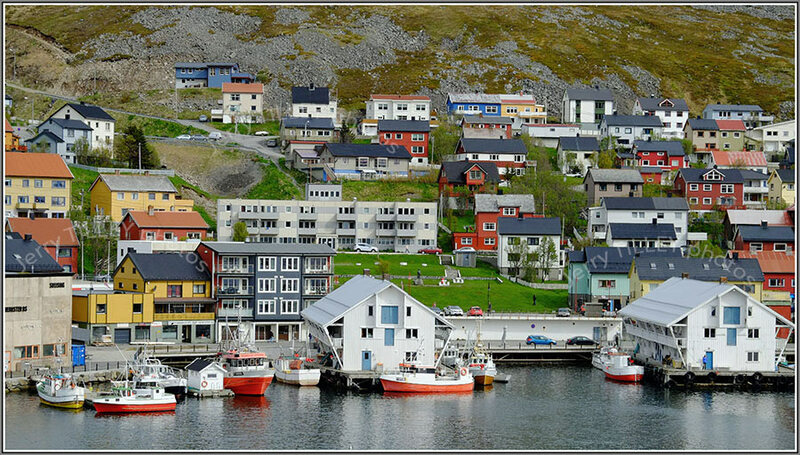 Fishing and tourism are the many industries here, with cruise ships visiting in summer to allow passengers to travel to the nearby Nordkapp. The mean average temperature here is just +2 degrees, as it is at almost 71 degrees north. Taken with the Fuji X-E1 camera and 18-55mm standard kit lens. 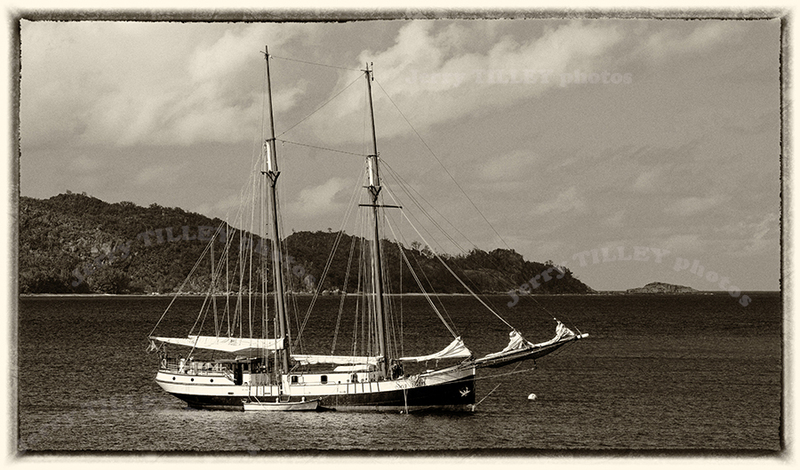 and another photo from the archives….a serene scene from the Seychelles. Thought for the day…” You are never too old to feel young” ” Life is not a rehersal, it is the real thing”. Rather nice story in the news on the BBC (and a good news one too) about a runner in Portsmouth, England who used a running app and GPS to propose to his girlfriend. He used a running app to track his route, which spelt out the words “will you marry me” as a way of proposing to his girlfriend. After posting the route online, his girlfriend said yes. A novel way to propose !! 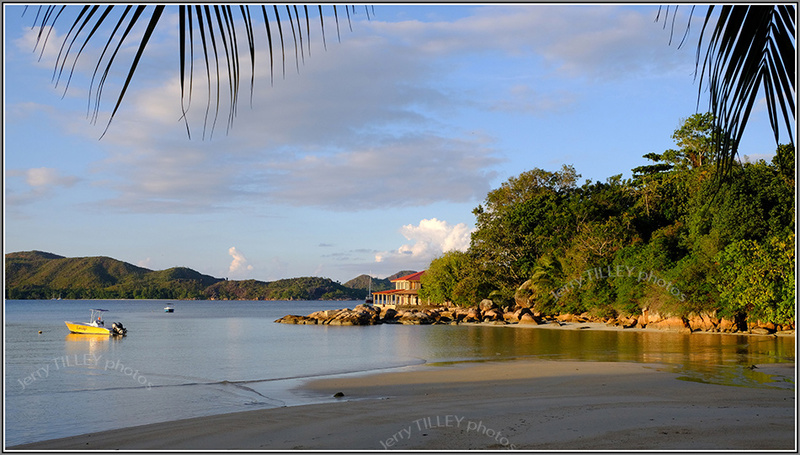 Peace and tranquility for the photo today….last light of the day in a small bay on Pralin, Seychelles. Just a lone fisherman and the breeze, captured with the Fuji X-E1 and a 50-200m lens. A good photo needs good light, and both these photos had it. The high quality of the Fuji lens also made these photos. ” A negative mind will never give you a positive life”. It is sad to read that the efforts of one Russian newspaper to lift spirits have failed. The ‘City Reporter’ newspaper had decided to only print good news and happy stories for a day, but the result was far from happy, as it lost about two thirds of its readers. It has gone back to ‘regular’ news now. And despite it being almost Christmas, when you visit the shops and shopping malls at the moment, the bad tempers and stress are very evident. 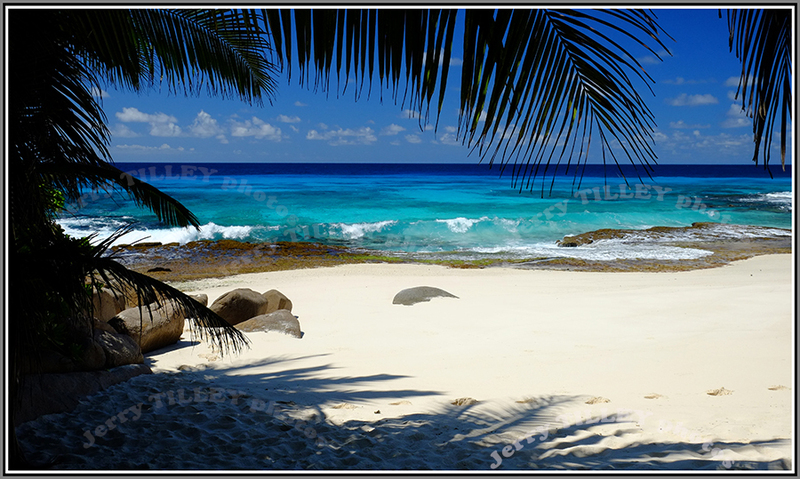 Hard to believe that it is the season of joy and goodwill…..
Blue skies and uncrowded beaches from the Seychelles again…..no signs of Christmas stress here….And if you think that the colours look unreal, then just visit the Seychelles !! Fuji X-E1 camera again. 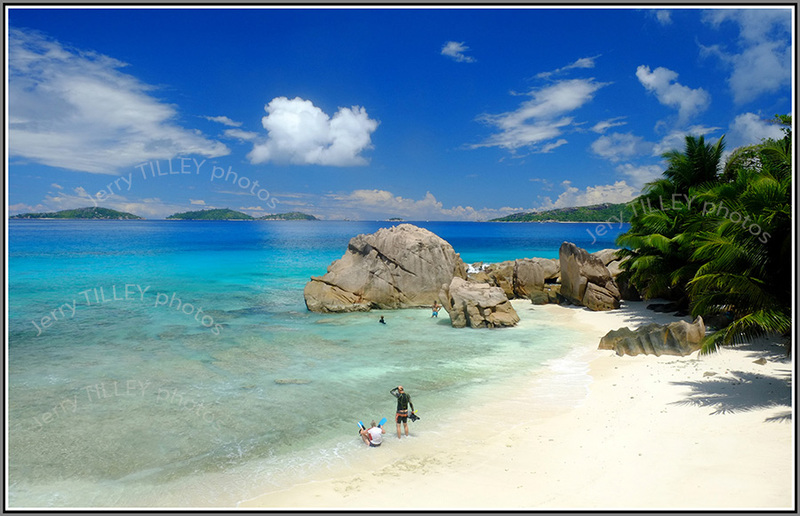 Another couple of photos from the Seychelles. The Seychelles are the sort of place where you take photos, and take lots of them. 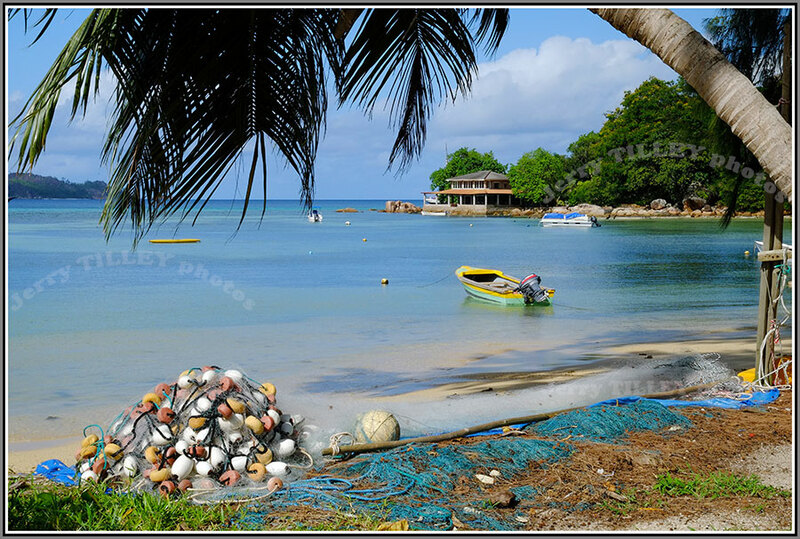 So many beautiful bays and beaches, and scenes like the ones below are so easy to find. And for those people lucky enough to have waterproof cameras, the coral reefs, diving and tropical fish are amazing. Sadly I have no photos from the diving, but hundreds of photos from dry land. Next time I must take an underwater camera. 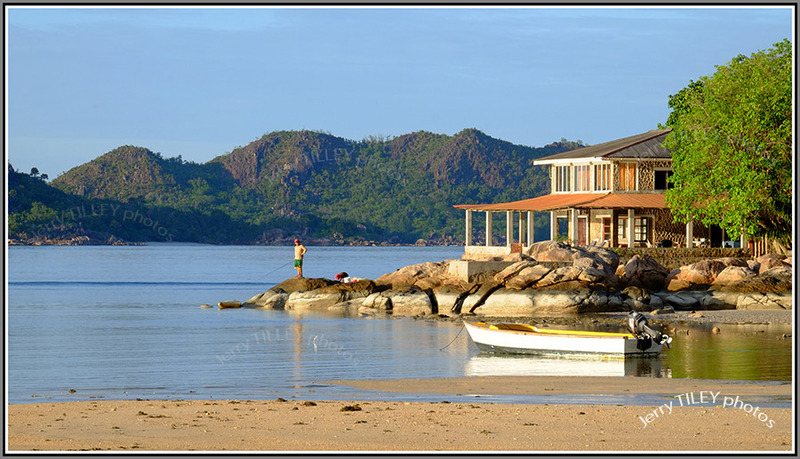 High standards of accommodation, relatively few tourists (so often the beaches are empty or almost empty) and around 155 islands to explore. What a holiday paradise!! I just hope that it does not become like some of the islands in Thailand, where tourism has taken away the very charm that made them popular in the first place. But for now, Seychelles are still paradise. and another photo from the Seychelles. This photo started as a normal colour photo, but was first converted to black & white, then converted to sepia to give it an old look. See what you think….. Thought for the day….”It is the road that you take that decides your destiny, not your destiny which decides which road that you take”. ” You are not wealthy until you have something that money cannot buy”. 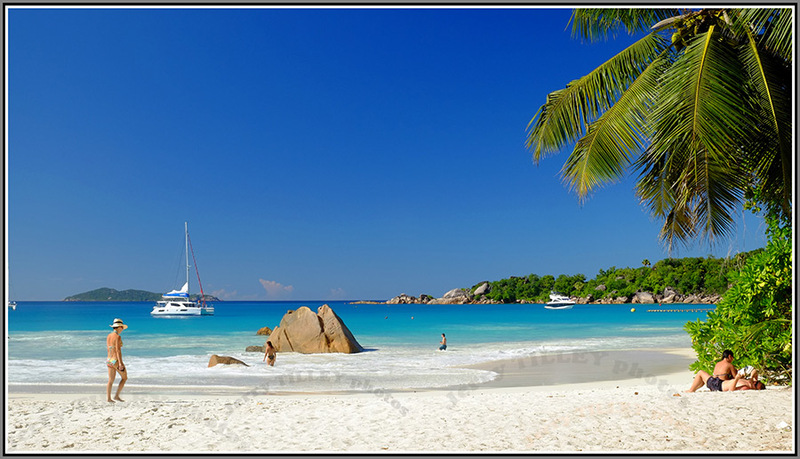 Situated just south of the Equator and in the Indian Ocean, the Seychelles are made up of 155 islands which were controlled by both Britain and France until independence in 1976. About 92 000 people live there (lucky them! 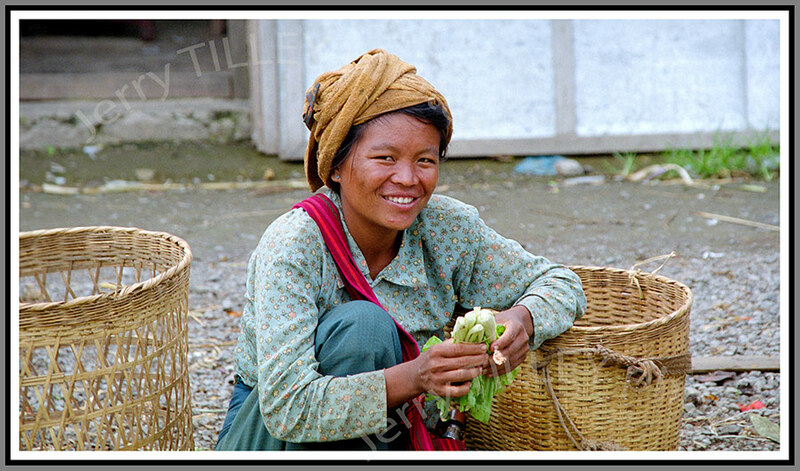 ), with many of them being employed in the main industry-tourism. Unlike the Maldvives, the Seychelles have some wonderful inland scenery too, ranging from deep valleys to tropical rain forest, which makes the Seychelles a far more interesting holiday destination. The beaches (some of which are said to be the best in the world) are uncrowded and extremely beautiful, the sea temperature perfect for swimming and diving (especially around the many coral reefs) and when you tire of sitting on the beach under a palm tree, the tropical rain forests are quite beautiful. Add to that some fantastic quality hotels and they are really a perfect holiday destination. 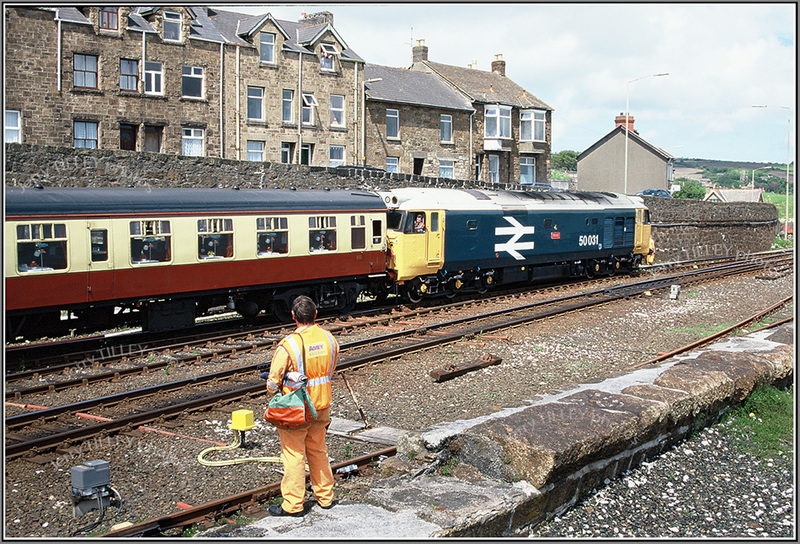 and another from the same area…..
” Problems are not stop signs, they are only guidelines”. So often a holiday destination does not live up to the promises. So often the views once you arrive do not live up to the pictures in the brochures or online. But sometimes they do. The latest holiday was one of those trips where the actual views were even better than the brochures had promised. The beaches were more fantastic and the sea even more perfect. The new camera has been VERY busy…..more than 16 GB of photos and videos……it really is beautiful…….